Ypsilon's continuous commitment to innovation has resulted in several niche solutions being developed that are borne out of customers' business critical requirements. Powered by a pool of talented professionals, we value ourselves as partners in making Information Technology work to compliment the business growth of our clients which in turn help them stay ahead of their competition. 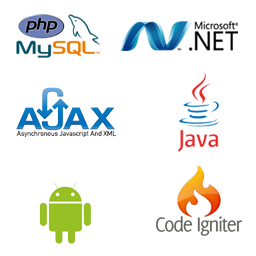 Our offerings span Consulting, Application Development, Systems Integration, Custom Software Development, Software Testing, Multimedia Services, Enterprise Solutions and Automation Engineering. Professionals with mutually exclusive and collectively exhaustive skill sets required to offer optimum solutions to our clients, we at Ypsilon cultivate an environment of co-operation, improvement, support and respect, which allows for healthy discussion of differences, while focusing on common business goals. Since inception, our company has been appreciated by our customers for our focus on high quality and dependable services and solutions. The long term relations we have forged with our customers bear testimony to the trust reposed by them in our services and solutions. To be the partner of choice to customers by delivering innovative, efficient and the best of breed technology solutions that accelerate their business growth. To grow the business at a challenging and sustainable rate by providing the best technology solutions and services. To be partners with our customers, shareholders, communities and people.